The Engineering Construction Industry Training Board (ECITB) was set up in 1991 and is answerable to the Department of Education (DoE). It is responsible for the development of the engineering construction workforce in Great Britain and that responsibility extends to the training, skills and qualifications needed for an engineer to work on a construction site in the UK. 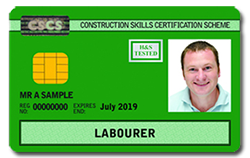 If you are hoping to work on any construction site operating heavy machinery such as diggers, dumpers, loaders and rollers, then you will be required to show that you are in possession of a CPCS card. You will not be able to work with this machinery unless you can show you have attended CPCS training and qualified, if you are allowed to work without one then this is a construction site you do not want to work on. IPAF stands for The International Powered Access Federation, and this non-profit organisation represents those who work with, manufacture, rent or lease powered access equipment. IPAF promotes the safe use of such equipment as well as promoting and providing high quality training for all those who work with or make powered access equipment. If you use, supply, manufacture or work in the vicinity of any type of mobile access tower, or if you work at height at all, then you will likely of heard of PASMA. However, if you are wondering "what is PASMA?" and you work with mobile access towers then here is the vital information you need to know. Don’t leave it till the last minute to book your CITB Site Safety Plus refresher course because you run the risk of having to attend one of the full courses (at full cost of course) meaning more time in a classroom rather than earning a wage on-site. The CITB Health, Safety and Environment test (HS&E test), often referred to as the CITB touch screen test or CSCS touch screen test, is an essential part of obtaining your CSCS Green Labourer Card. Many delegates require a proof of pass immediately following their training course, however pass certificates are not issued immediately by accrediting bodies such as CITB. The Construction Industry Training Board have published a number of changes to their Site Safety Plus courses that they will be implementing from January 2018. 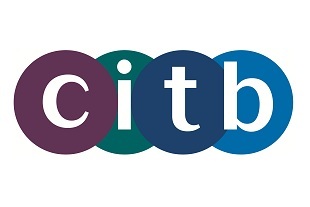 Many of the changes are only relevant to training providers but we'd like to discuss some of the more important points for those booking onto these courses and those planning to run private in-house CITB courses. 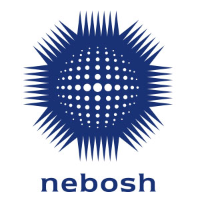 As one of the constructions industry’s most accepted health and safety qualifications the NEBOSH Construction Certificate is primarily aimed at a target audience of managers, supervisors and CDM co-ordinators, or anyone who is has a responsibility to safety for construction activities that are undertake under their direction. The course is made up of several individual units, outlined in the syllabus below. This should give any delegate wishing to undertake the training an indication of what is involved. The H&S Awareness course, also known as Site Safety Awareness course, is one of the most popular routes for anyone looking to take their first step towards obtaining a CSCS Labourers (Green) Card. The one day course provides delegates with a basic awareness of health & safety, and how H&S affects their job role. It is most suitable for those who have entered, or are about to enter, the construction and civil engineering industry.